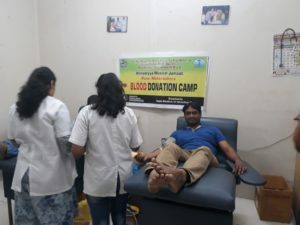 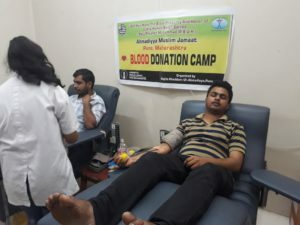 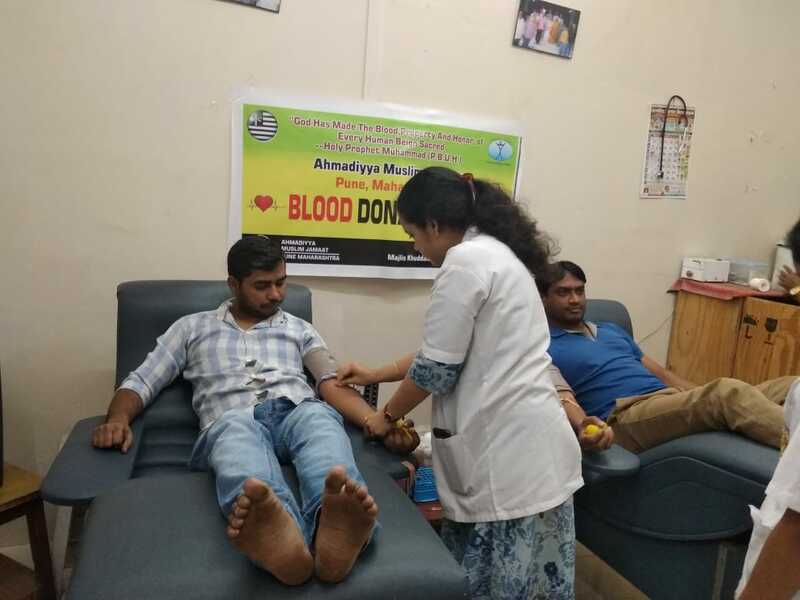 On 23rd March of 2019 in accordance with the auspicious occasion of Youme-e-Masih-e-Maud (Promised Messiah Day), Ahmadiyya Muslim youth of Pune celebrated the day by donating their blood at the local government hospital. 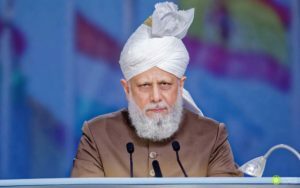 Yaum-e-Masih Maud is commemorated by members of the Ahmadiyya Muslim Community annually on March 23 which marked the day when Hazrat Mirza Ghulam Ahmad (AS) the Promised Messiah, took oath of allegiance from 40 members in Ludhiana, Punjab and initiated the movement. 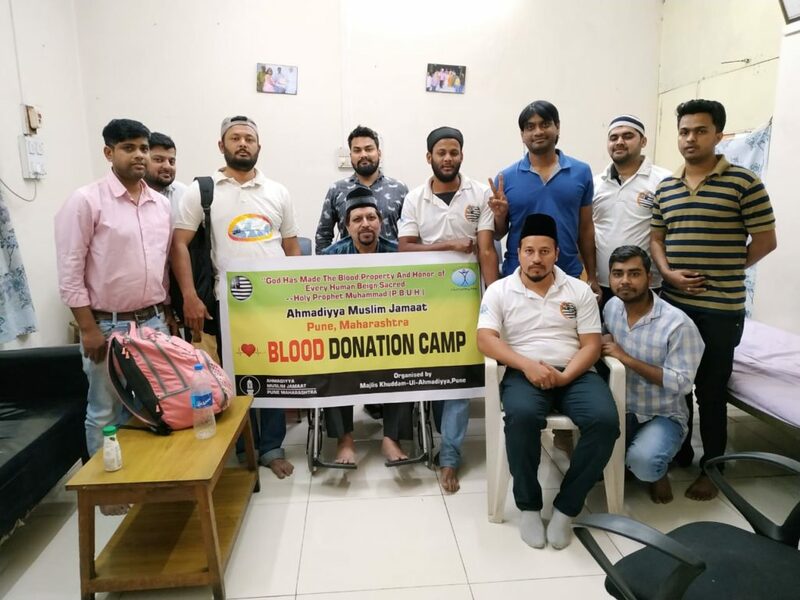 Qaid Majlis, Incharge of the local MKA Chapter- Pune Janab Mohammed Waseem Ahmed along with 12 members of the Pune Majlis khuddamul Ahmadiyya went to Sassoon General Hospital, Pune. 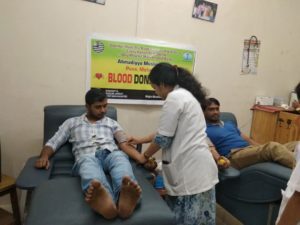 Government hospitals of India are where the poor and middle-class citizens mostly depend on their medical needs. The staff of the hospital were cooperative with khadims and they mentioned that they never saw such youth organisations donating blood in government hospitals. Along with Khadims Sadr (President) Jama’at Pune Janab Arif Ahmed Tahir sahib also attended the program. 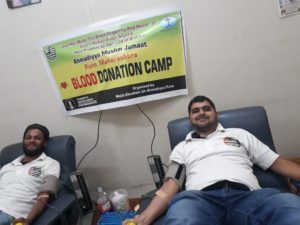 The program started with a silent prayer led by Sadr sahib. 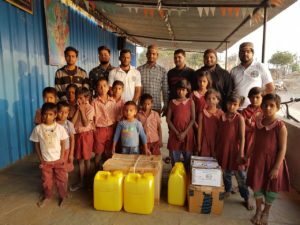 Charity kits distributed at Dharamveer Shambhu Raje Pratisthaan Orphanage by Majlis Khuddamul Ahmadiyya Pune.